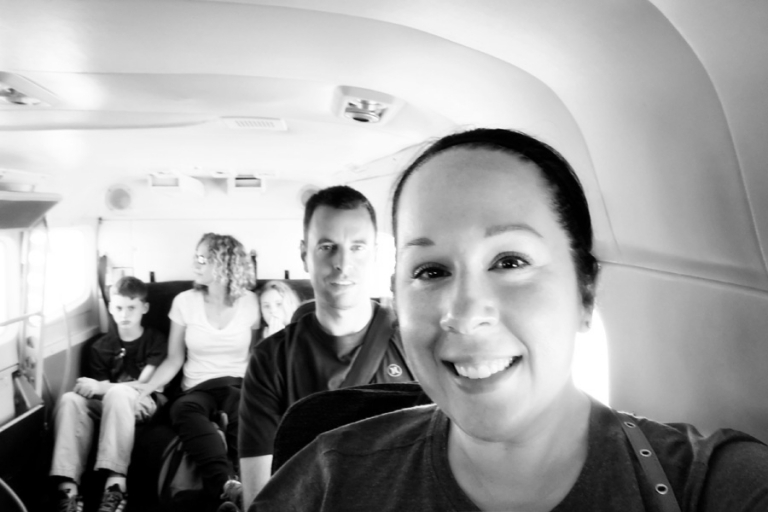 This snapshot was taken on a quick turboprop plane flight and I love the kid in the back row, scowling towards the camera. We were heading back to Belize City from San Pedro to catch our flight home and I think they were, too, so I totally understand. I can recognize the vacation-is-over-blues when I see it!